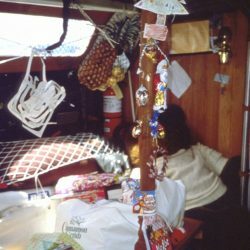 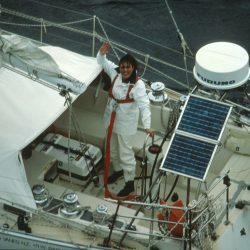 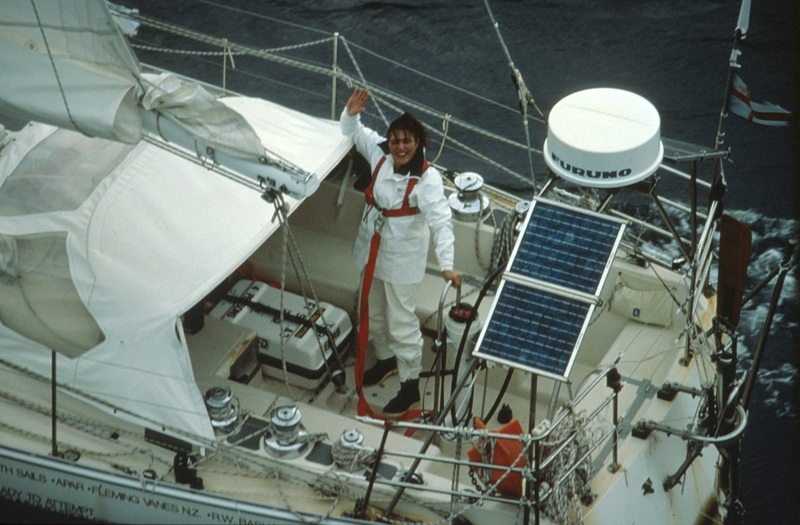 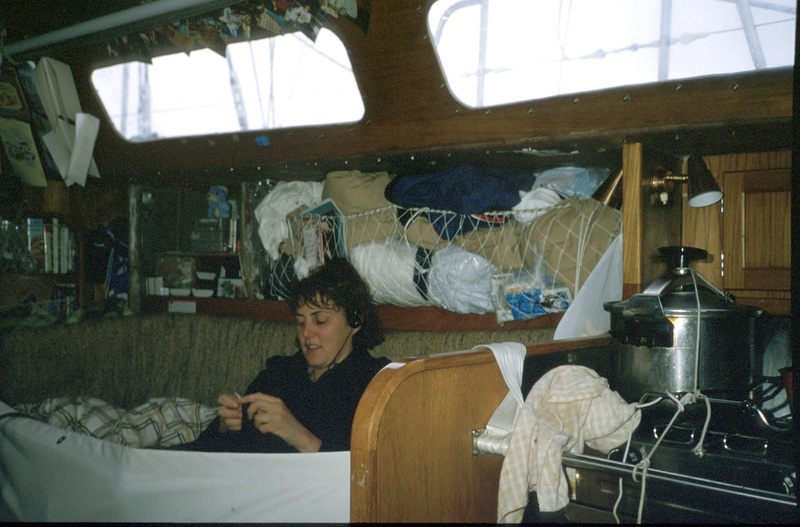 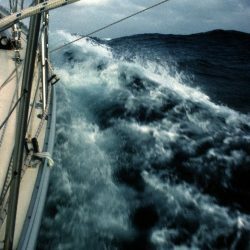 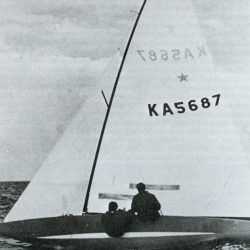 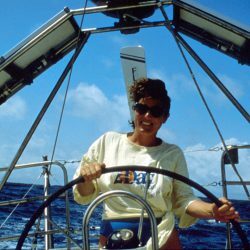 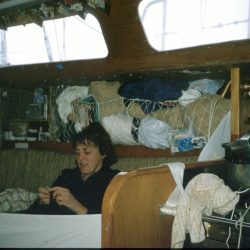 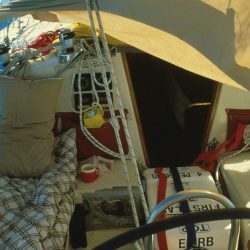 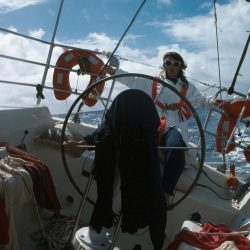 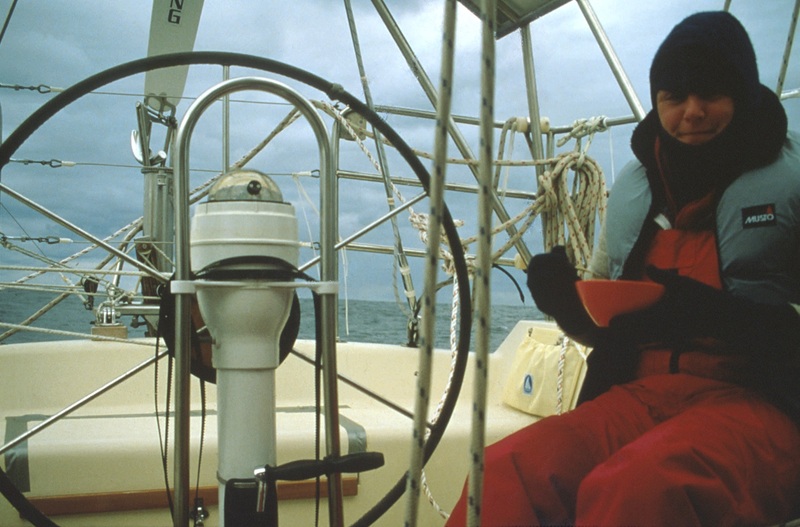 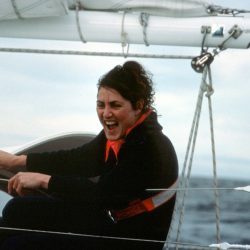 Kay Cottee is the first woman to perform a single-handed, non-stop and unassisted circumnavigation of the world by way of both hemsipheres. 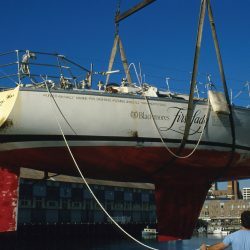 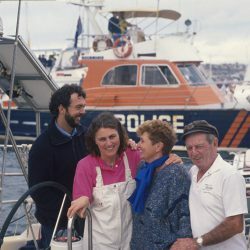 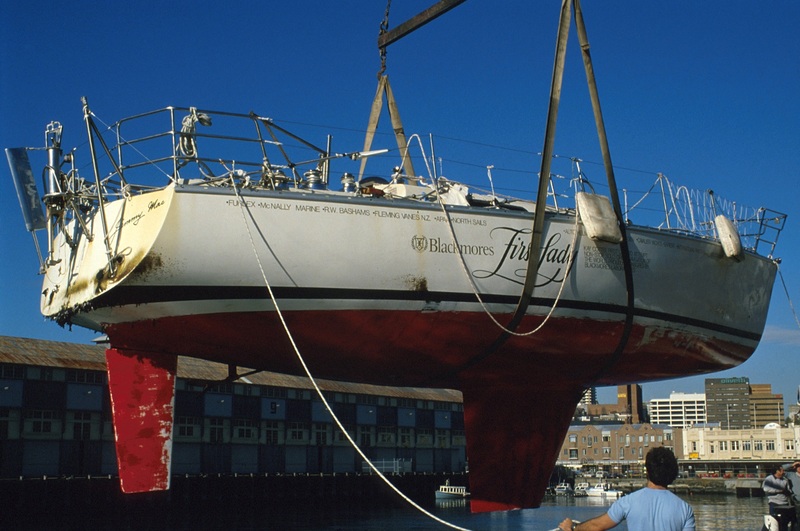 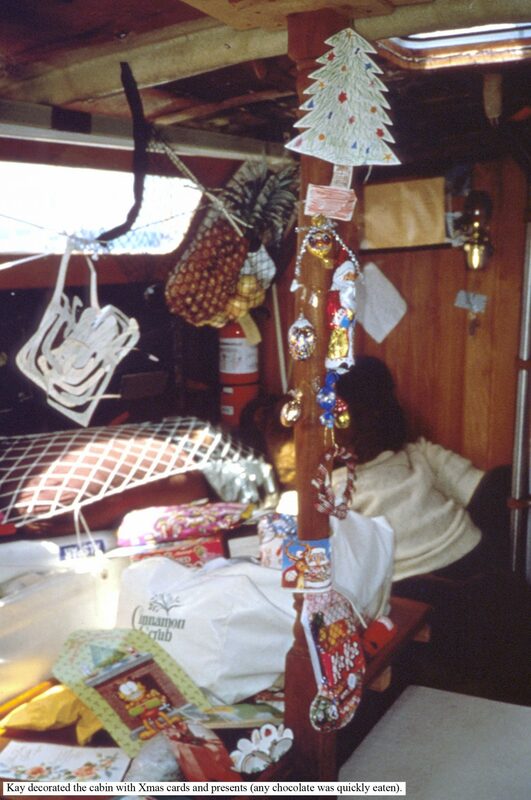 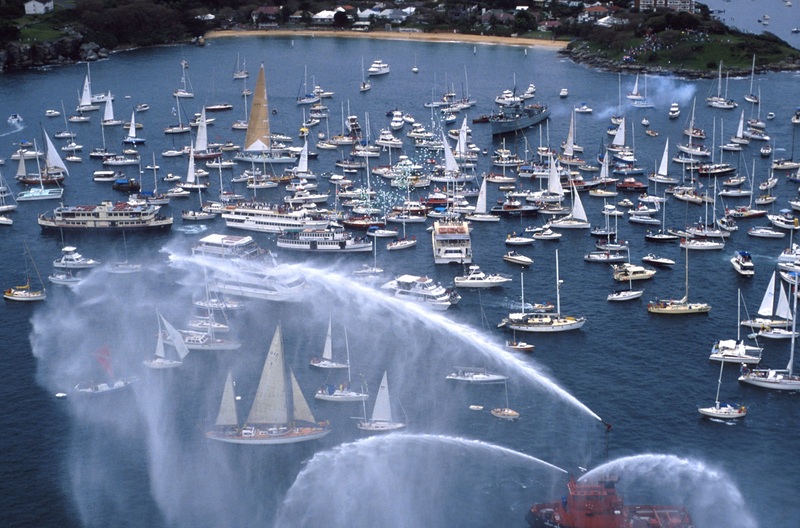 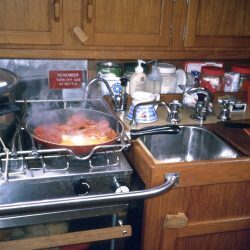 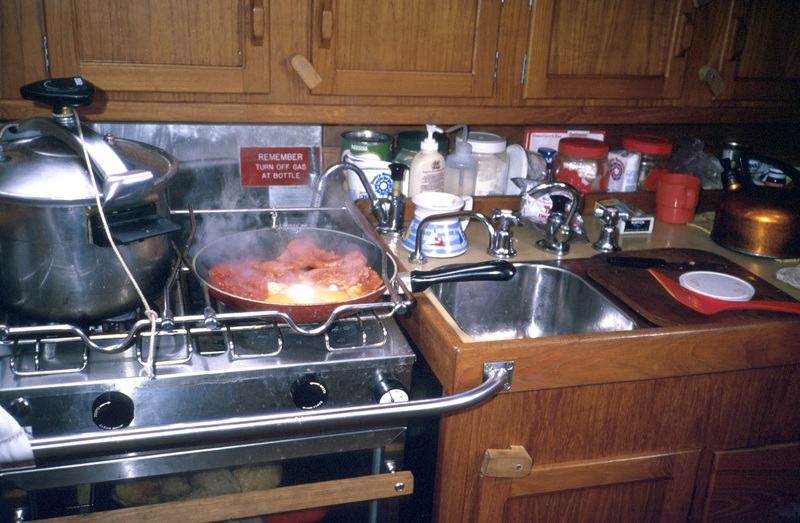 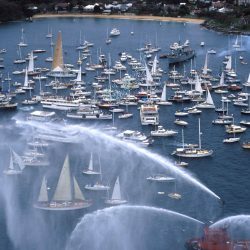 She performed this feat in 1988 in her 37 foot (11 m) yacht Blackmores First Lady. 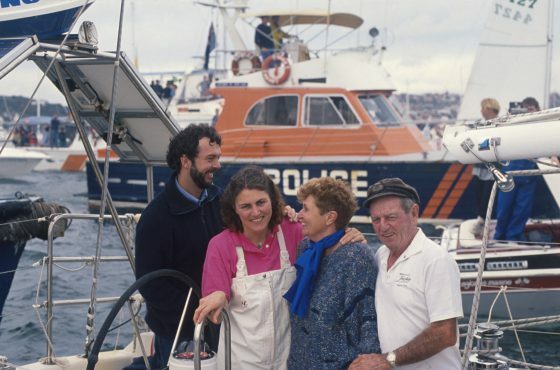 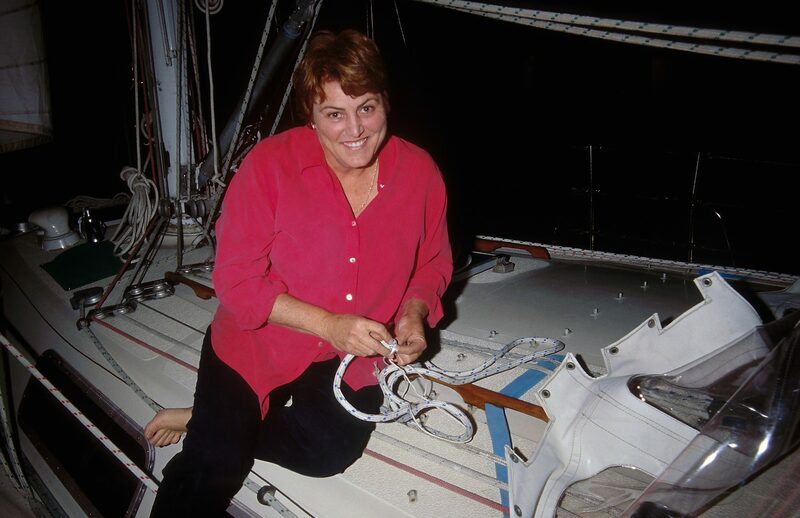 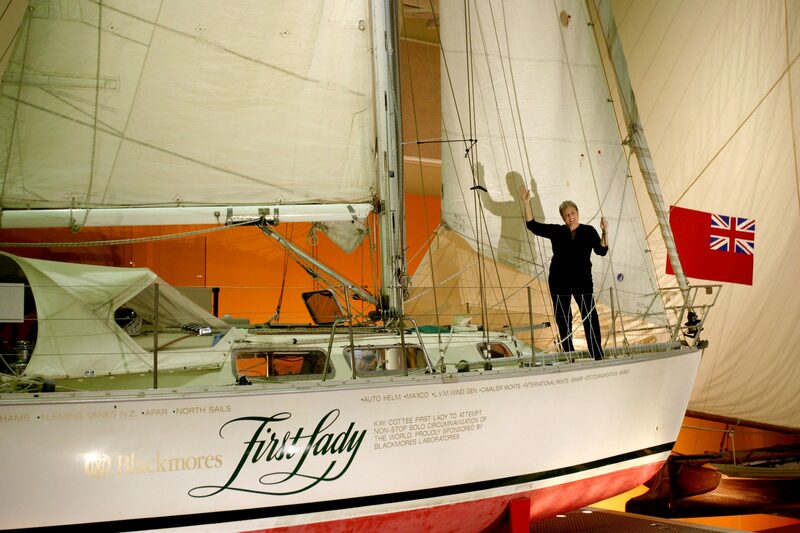 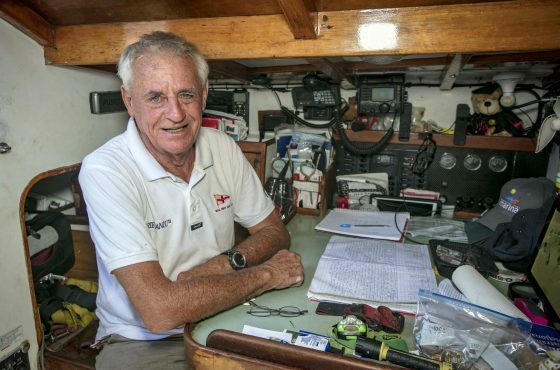 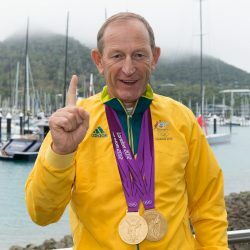 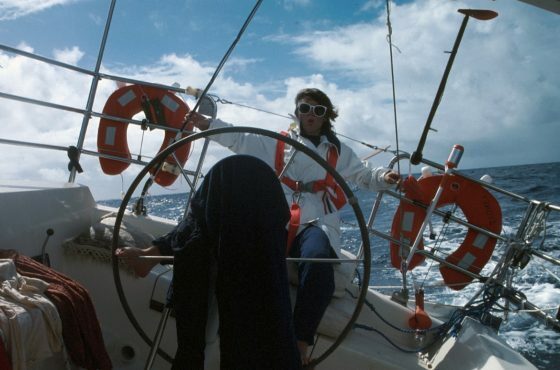 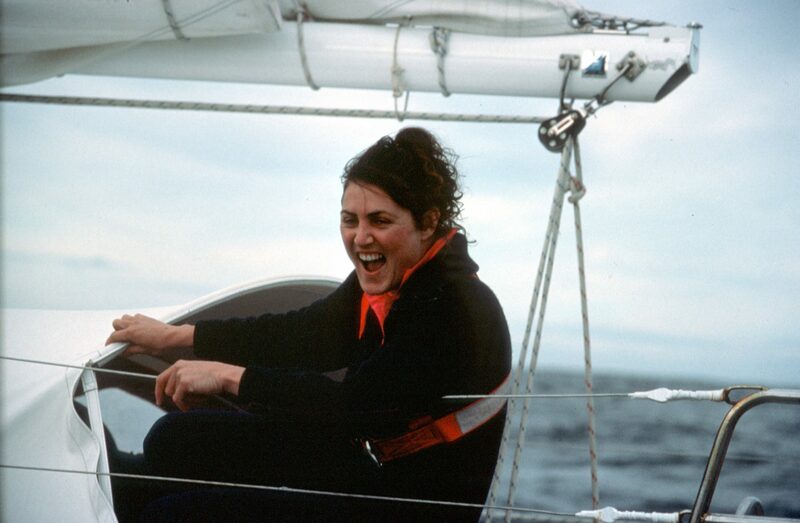 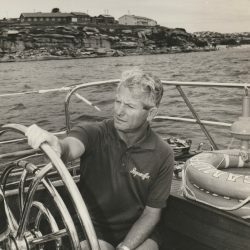 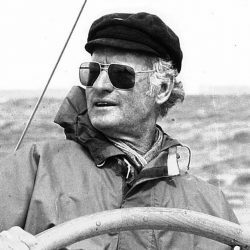 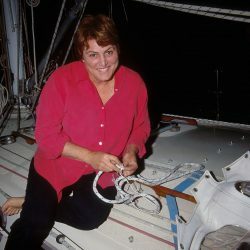 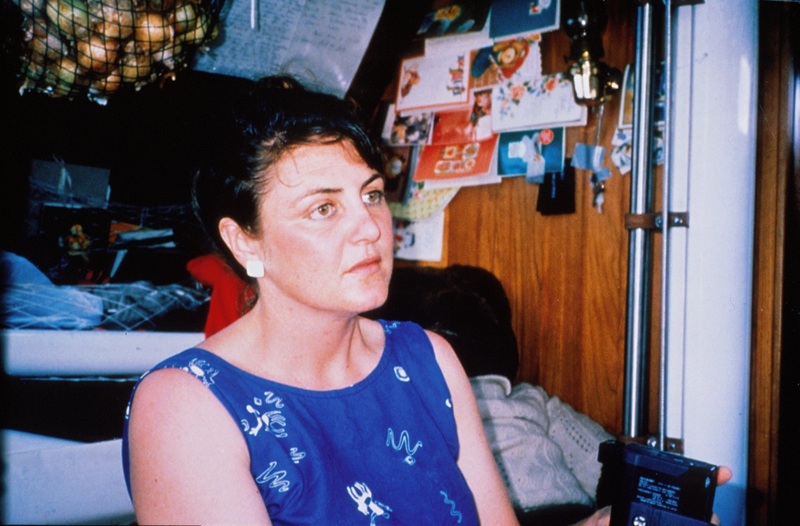 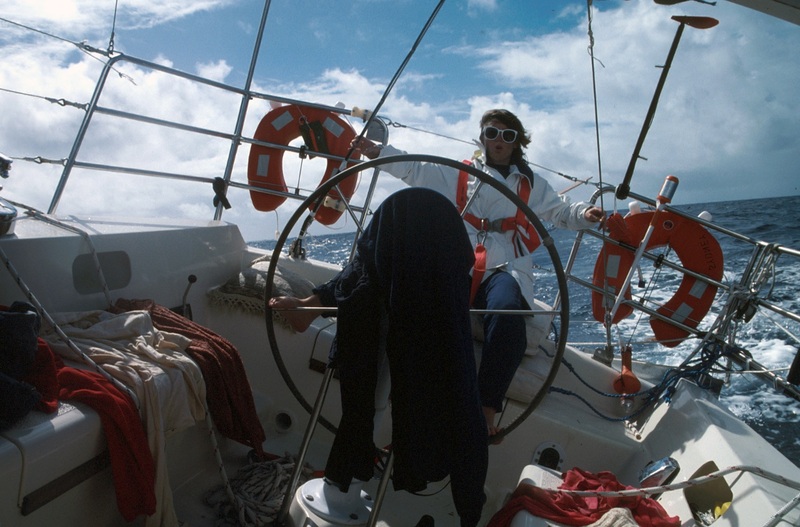 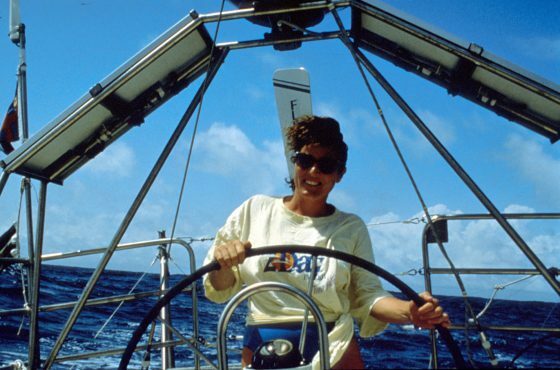 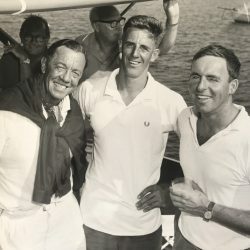 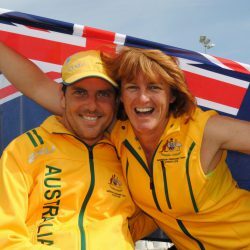 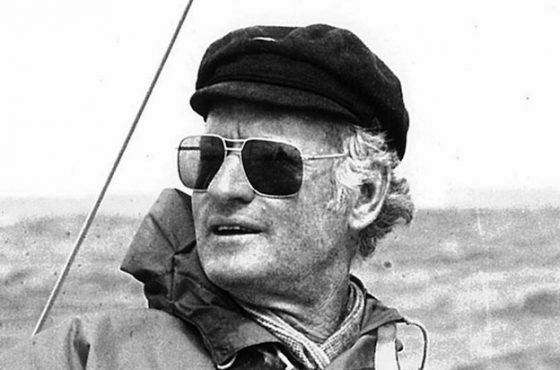 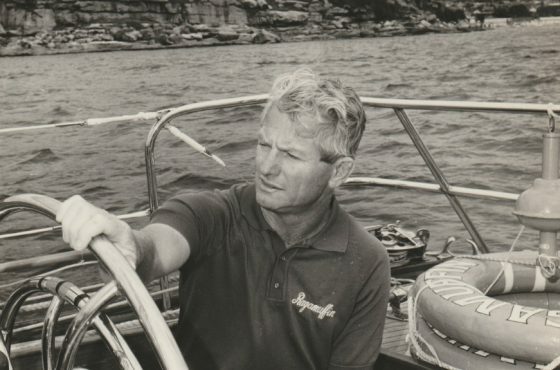 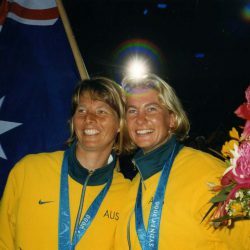 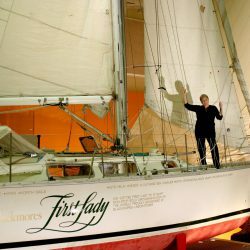 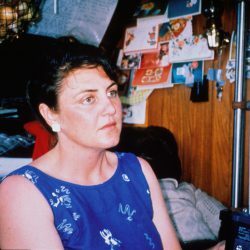 Kay Cottee AO inspired generations of female sailors when she became the first woman to sail unassisted, non-stop around the globe via both hemispheres. 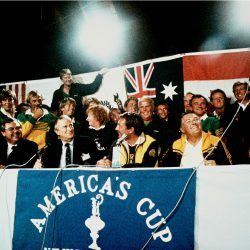 To this day, Cottee remains an inspiration to people of all generations across the globe. 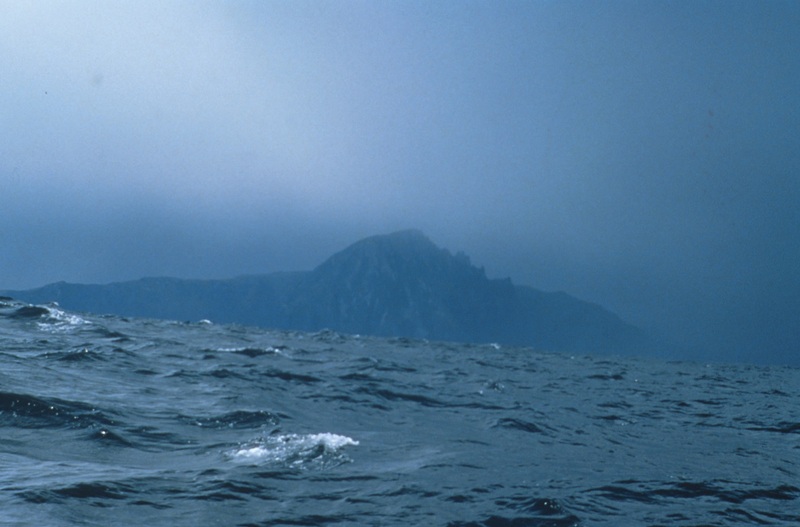 Rocks in the North Atlantic. 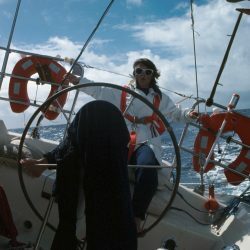 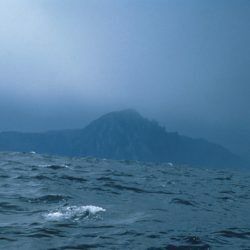 From there Kay headed south again and rounded the Cape of Good Hope before crossing the Indian and Great Southern Oceans on her way home around the southern tip of Tasmania. 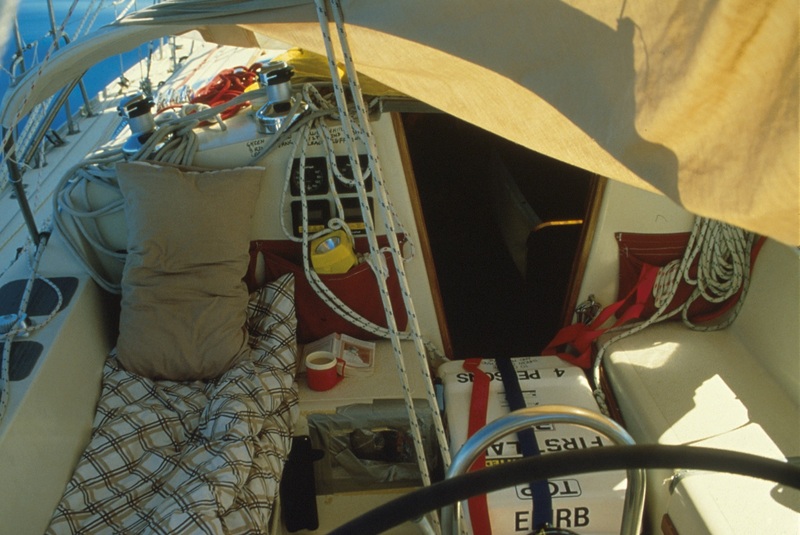 She then turned north for the final long run up the east coast of Australia to Sydney. 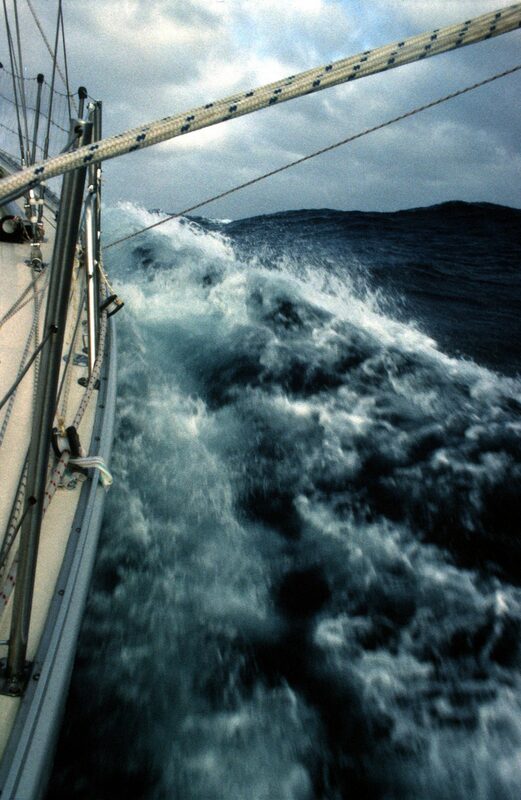 My life flashed before my eyes for the second time in an hour as I was washed just over the top of the leeward safety railing before my harness lines pulled me up short. 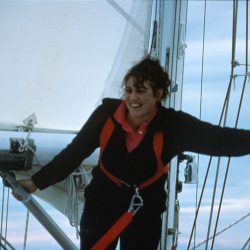 I held my breath under the water until my lungs felt they would burst, willing my lovely to right herself and praying that the two harness lines did not give way. 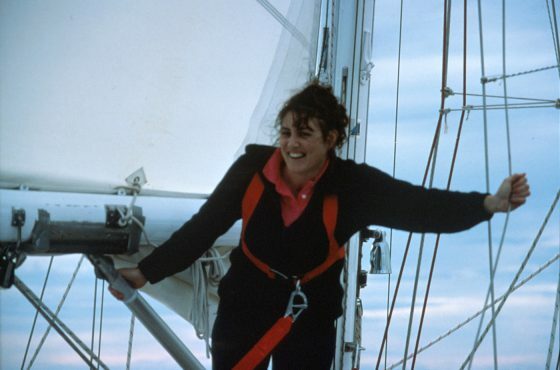 She took her time, but true to form gracefully rose once again, this time with me dangling over the side. 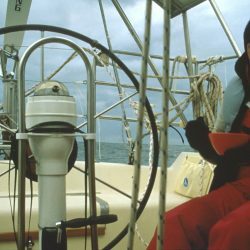 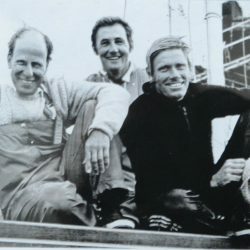 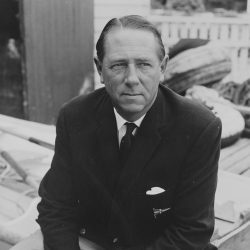 Cottee relied on the mechanical Fleming wind vane that corrected to a course charted with sextant and compass, with help from a satellite navigation system. 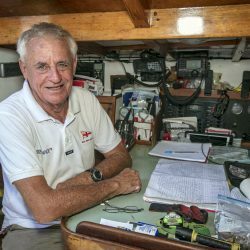 Satellite navigation was in its infancy at that time and offered nothing like the coverage and precision we all take for granted from Global Positioning Systems (GPS) today.